At Brandon Cross we provide ground breaking online chat software that is fully tailored to meet the demands of modern businesses. Our software solutions are able to perform highly complex routines for all sorts of businesses, from smaller enterprises to established firms. Any business that deploys one will find that the system continues to get better as, for example, chatbots can learn from the responses of real, human agents using these sophisticated systems. Our approach to developing a customised online chat program is open and inclusive during the design process so that clients can rest assured that the software that is developed matches their business goals fully. At Brandon Cross, we have the expertise to provide cutting-edge online chat software to businesses in sectors as diverse as pharmaceuticals to petrochemicals. Our systems can be fully integrated with a customer’s knowledge base so that agents are able to provide accurate answers quickly and without having to look responses up. Chatbots which have been learning from real agents can suggest responses from a database of similar enquiries, for example. Connectivity with other back-office systems, such as order processing data, can also be included to retrieve relevant information automatically if wanted. Deploying an online chat system allows you to build better relationships with clients by notifying your customers when an agent is available to handle their enquiry. This is great for technical support applications, for example. Tailored systems are also able to block the undesirable transmission of unsolicited sensitive data, such as personal financial details, another important factor given GDPR rules. With Brandon Cross, you can even procure a system which will allow agents to seamlessly pick up where a chatbot left off. Our guide to cloud-enabled software is full of useful insights into online chat software as well as other sorts of applications. 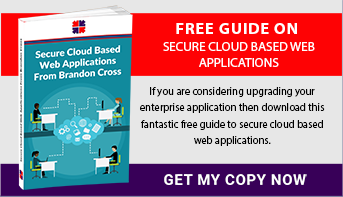 You can download Secure Cloud Based Web Applications without charge. If you have questions about how an online chat program could help your business communicate with its clientele more effectively, then please drop us a line.